Wilson, business leader at MPM Ltd, has grown up with composites, being part of a family business established by his father in 1978. Under his direction since 2010, the business has more than trebled turnover with 20 per cent year-on-year growth and is still experiencing record sales and beating targets every month, according to a press release by Composites UK. His collaborative leadership style and sheer determination, combined with his ability to create an award-winning culture in business are some of the reasons that Wilson has been voted to lead the association as it strives to achieve its goals. 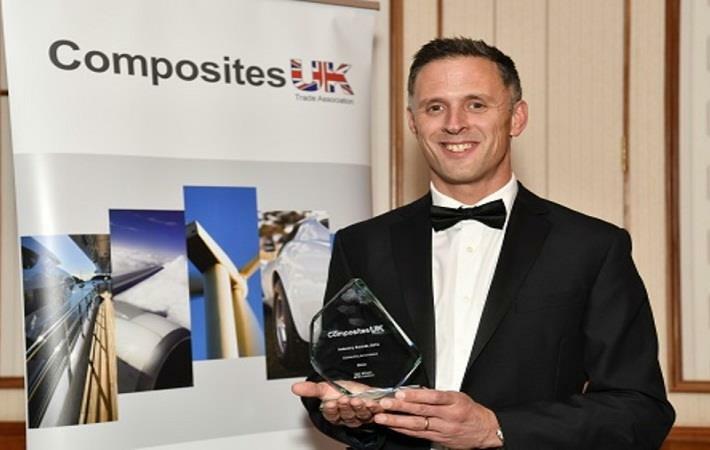 “I am delighted to have been voted in as chairman at Composites UK, they are a fantastic supporter of our industry. With my two years as chairman I am dedicated to ensuring members from across all sectors get value from their membership, whilst supporting growth in the UK composites market. I am particularly passionate about apprenticeships and will be looking to get a level 2 aligned with the level 3 that we already have in place,” said Wilson. The announcement for chairman coincides with the launch of the 2019 nomination process for the four places on the board which are up for election. The board meets quarterly to discuss the direction of the association with some directors choosing to take on extra responsibility for specific business areas such as communications, research, training etc, depending upon their area of expertise.